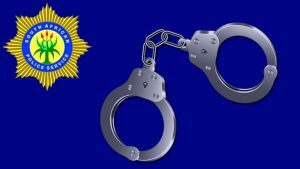 More arrests are expected in the R86 million blue light tender as former Acting Police Commissioner Khomotso Phahlane and Major General Ravichandran Pillay appeared in the Specialised Commercial Crimes Court on Friday. They appeared on charges of fraud and corruption relating to the tender. The two join a group of five which has already appeared on the matter last year. They were granted a R20 000 bail but not before Phahlane’s lawyer accused Independent Police Investigative Directorate of maliciously using the case to bolster former Head Robert McBride’s attempts to have his contract renewed for another five years. IPID spokesperson Moses Dlamini has denied the allegations. Meanwhile Institute for Security Studies Expert Johan Burger says the contractual dispute regarding then IPID boss Robert McBride, came at a critical time for the Independent Police Investigative Directorate. Burgers’ reaction follows a decision by Parliament’s Portfolio Committee on Police to decide against McBride’s contract being renewed. The African National Congress dominated committee cited an alleged breakdown in trust between McBride and Police Minister, Bheki Cele. The Democratic Alliance (DA) has distanced itself from the committee decision. Burger says the dispute has the potential to affect the probing of some high profile police corruption cases. The post More arrests expected in blue light tender appeared first on SABC News – Breaking news, special reports, world, business, sport coverage of all South African current events. Africa's news leader..